Tl;DR: Flutter Create is a contest that challenges you to build something interesting, inspiring, and beautiful with Flutter using 5KB or less of Dart code. Whether you’re an expert or a beginner with Flutter, we invite you to join us and see what you can create. We also have over $10,000 in prizes for a few winners! Visit flutter.dev/create to enter. 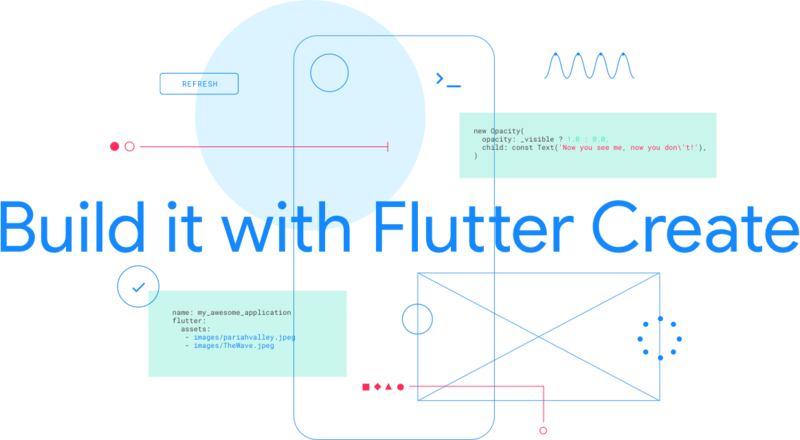 We are introducing Flutter Create, an initiative where new and experienced developers are asked to submit a Flutter-related project in less than 5KB of Dart code. 5KB is less than half a second of a typical MP3 file. What can you do with just 5KB? It turns out — quite a lot. Flutter includes widgets and libraries that make developers productive with only a little code. Winners will be announced at Google I/O 2019.
flutter.dev/create is your source for all challenge details and submissions. Date: All projects must be submitted by April 7 11:59pm PDT (GMT -7). How to Submit: Entries will be collected on the form linked at flutter.dev/create. Winners & Prizes: Submissions will be rated by Flutter experts against the following rubric: visual beauty, code quality, novelty of idea, and overall execution. Prizes include a fully loaded iMac Pro, Google Home Max, and Google Home Mini.